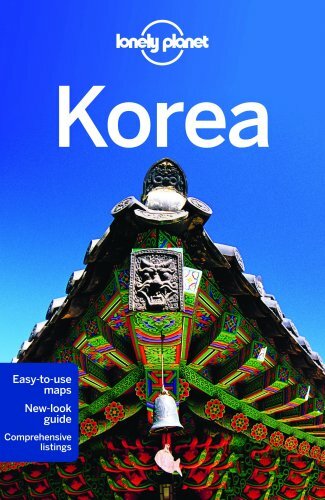 The first thing that comes to many people’s minds when thinking about South Korea is Seoul, the country’s largest city and capitol. But there are plenty of other destinations for those who want to take the time to look for them. Everything from old Korean temples, to beautiful countryside views - such as the Boseong Green Tea fields in the southern part of the country - to other large, metropolitan cities such as Busan. As South Korea’s second largest city, Busan has a lot of the same charm as Seoul with some unique selling points of its own. For one, the people tend to be friendlier and laid back than in Seoul. It’s an easy comparison to make to Japan’s two most famous cities - Tokyo and Osaka - where one is a giant metropolis filled with people busy at work and not many tight knit communities, and the other is a slightly smaller city with great food and more open people. In addition, Busan has some of the best beaches on the mainland of South Korea - such as Haeundae (setting for a popular South Korean disaster film), and Gwangalli, which has several nightlife spots nearby. Busan also contains a lot of the shopping, bars, nightclubs, and other conveniences you would expect from Seoul, along with a few more traditional sites such as temples. The following are some of the must see spots in Korea’s second largest city. If you’re coming from another area in South Korea - such as Seoul or nearby Daejeon - then most likely you’ll be first arriving at Busan Station. This area contains a lot of good bars, restaurants, and cheap hotels, and makes for an excellent starting point for your journey. Some hotels in the area can be had for as low as 35,000 Korean Won a night. Do note that while a Chinatown is across the street, it’s actually a pretty seedy area and is best avoided, especially at night. However like most parts of South Korea, the Busan Station area is mostly incredibly safe. A few stops over from Busan Station is Nampo-dong, one of the premier shopping and meet up areas in the city. A good comparison would be with the Gangnam Station area in Seoul - while Nampo-dong isn’t quite as high class, it’s still a clean, modern spot with a slightly more artistic and youthful character than Gangnam. There are plenty of odd statues and offbeat stores lining this area, and for those wanting to have a clearer view of the city, Busan Tower is located in this neighborhood. While not quite as scenic or impressive as Seoul Tower, or other similar tourist spots in Asia, Busan Tower is definitely worth visiting. It’s much easier to access than its counterpart in Seoul, and as mentioned above its in an infinitely better neighborhood. Busan Tower offers a lot of the same benefits and amenities as you’d expect from observational towers - such as great souvenir shops, restaurants, and other odds and ends. It also contains a nice little garden at its base, where you can get an excellent view of the city without climbing the tower. Busan Tower is also a very popular spot for Japanese tourists, many of whom come from nearby Fukuoka by boat. While they may not compare to the best of other countries - such as Hawaii in the United States, or Okinawa in Japan, Busan still contains some of the best beaches in mainland South Korea. Haeundae is the most well known, and perhaps most popular beach in the entire country. It provides the setting of a famous South Korean disaster film of the same name, and is notoriously crowded during the summertime. While it’s not necessarily advisable to take a dip in Haeundae during the spring and winter, it can still provide a great stroll for those who like scenic ocean views. Haeundae also contains some of the best nightlife in Busan, and is a popular destination for English speaking Koreans and those teaching English in South Korea. Also well known is Gwangalli Beach, which is smaller but contains some excellent nightclubs in Busan. Songjeong is another famous spot, that’s known as a great place to take a date, and is far less crowded than Haeundae or Gwangalli. Located in Haeundae Beach is Busan Aquarium, one of the nicer aquariums you’ll find in South Korea. This mid sized aquarium offers a lot of great views of aquatic life, and is actually better and more sizeable than its counterpart in the COEX mall in Seoul. It also contains a lot of unique tanks and attractions - such as a tank that you can walk under using a tunnel. One of the most pleasant surprises during my trip to Busan was the Busan Modern History Museum. This free museum contains some of the best looks into South Korea’s modern history, including the Korean War, modernization, and the Japanese Occupation of Korea. While it provides a slightly biased view of South Korea’s modern history, it’s still rich with information, historical documents, and displays of life was like in Busan mere decades ago. It also contains plenty of exhibits on ancient Korea. Busan isn’t quite as known for traditional sites as some of its neighbors - such as Gyeongju and Jinju (both only an hour away by bus) but it does contain a few for those interested. One of the best is Bomeosa Temple, not far from Pusan National University. It takes a short bus ride from Beomeosa Station to arrive at the temple, as it’s located in the mountains - but the views make it completely worth it. Beomeosa is as excellent for checking out the natural beauty of Busan’s mountains as it is for getting a glimpse at more traditional Korean culture. A giant Buddha statue and temple stay are two highlights of Beomeosa, which like Busan Tower is just as crowded with Japanese tourists from Fukuoka and other cities, as it is with Koreans. PNU is one of the best Universities in Busan and all of South Korea. Like many other famous college neighborhoods in Seoul and other parts of the country, Pusan National University is great for shopping, nightlife, and making new friends during your trip. Most places here are more reasonably priced compared to their counterparts in Seoul, and there’s no shortage of young, English speaking Koreans to meet. It’s also not very far from Beomeosa Temple. Aside from the usual array of bars, nightclubs, and special interest groups, this area is home to several Toastmasters clubs, which can be an excellent way to meet people, for both experienced TM members and newcomers alike. South Korea may not be high on people’s lists of places to visit, but it contains a lot to offer for various kinds of travelers. Busan has a lot of the same conveniences as Seoul or other major South Korean cities, with a bit of nature and history to go with the shopping and nightlife. Anyone visiting South Korea should at least make a weekend trip down to Busan, which provides a great laid back tourist experience and a different view of South Korean life.